$15.00 Categorized under: decorated, flowers, gourd. 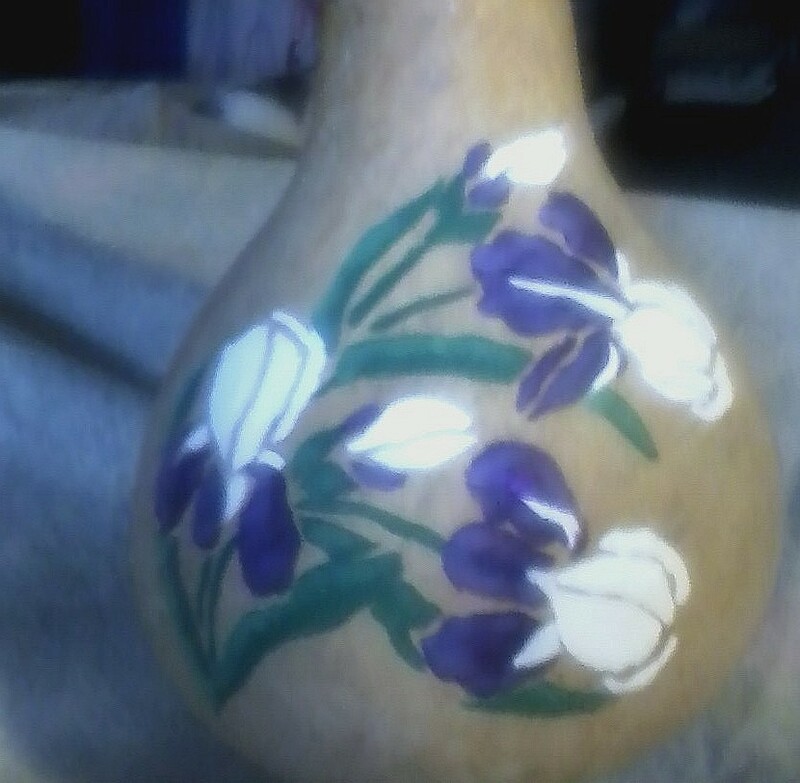 Purple/white iris painted on it front and back and a nice entrance for your favorite garden bird and her family. Check here for payment, shipping and return information. Check here to c-mail me if you have questions or orders. You can e-mail Marti at [email protected] to personally handle the purchase and shipping of this gourd also.